Want a meal that’s guaranteed to have your kids finishing their food instead of complaining again about what’s for dinner? 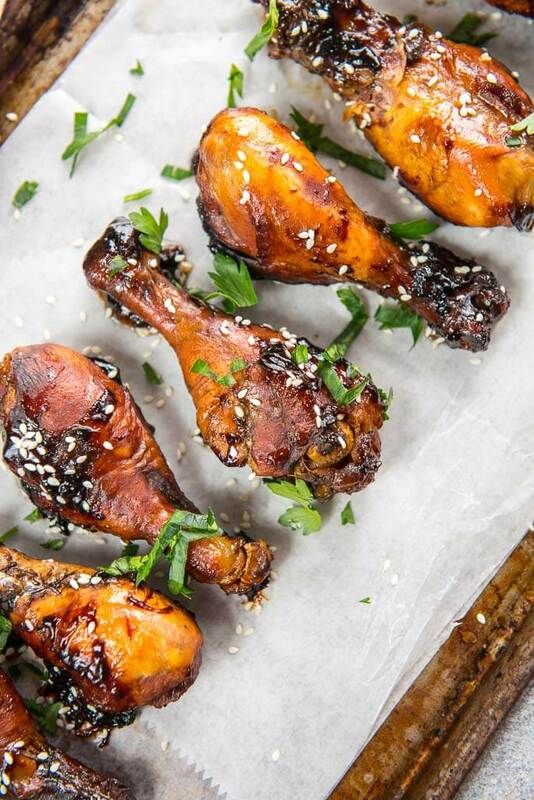 Try these Slow Cooker Sticky Chicken Drumsticks! They will love them and you will love how quick and easy they are to make! 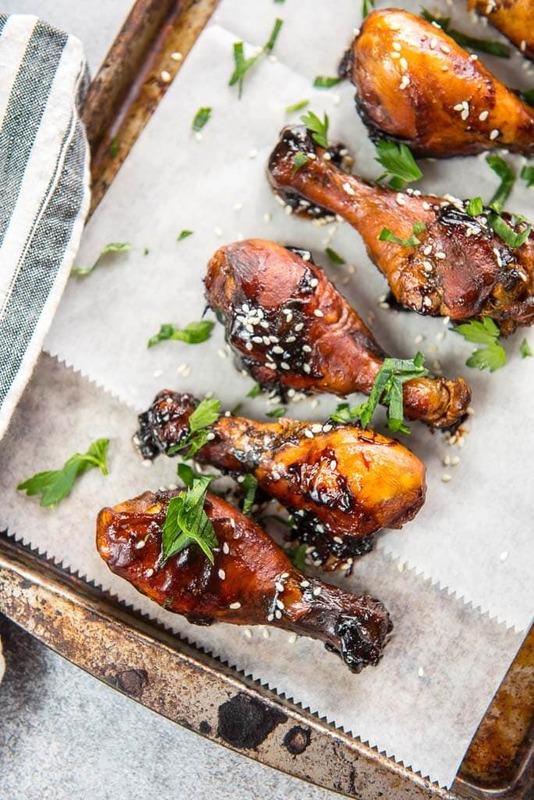 Sure you could do a bunch of work, turn on the oven on a hot day or stand outside at the BBQ… OR you could make a super easy dinner using your slow cooker and give yourself a little pat on the back for being so smart and making these Slow Cooker Sticky Chicken Drumsticks instead. They are so very easy to make, require little cleanup and will give your mouth some new and unusual flavor combinations to enjoy. These would be great served up with your leftover mashed potatoes or for something different you could steam up a little white rice. Spend a couple extra minutes to thicken up the sauce (right in the crock pot – no boiling on the stove!!) before you serve them and you will have a delicious drizzle to add over your side dish. 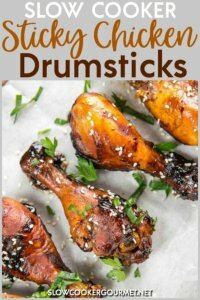 How do you cook drumsticks in a slow cooker? I don’t have to many fancy tips for you here… it’s basically throwing them in the slow cooker, pouring sauce over them and turning it on! As an option, you can always brown up the drumsticks a bit before you slow cook them, especially easy if you have a multi-cooker because then you don’t even dirty up another pan. You can also add cornstarch during cooking time to thicken the sauce or, again, if you have a multi-cooker it’s easy to turn it to stovetop and thicken at the end. The thing I love about making chicken drumsticks is that they are so inexpensive but it’s so easy to “fancy” them up just a little. We sometimes dig into these as a snack at our house but they are filling enough for dinner too. You could also bring them along to a pot luck since they make a perfect finger food. That was my teenager’s favorite part…picking them up and eating them with his hands getting all messy! Go ahead, give it a try! It’s fun to get food all over your face every now and then! Want a meal that's guaranteed to have your kids finishing their food instead of complaining again about what's for dinner? 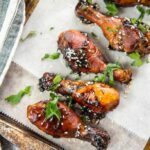 Try these Slow Cooker Sticky Chicken Drumsticks! They will love them and you will love how quick and easy they are to make! When chicken is done spoon out 2 tablespoons of liquid from the crock into a small bowl. Add in 1 tablespoon of cornstarch and mix until smooth. Add back into crock and give it a stir. Let it sit for about 30 minutes and your sauce will thicken and really stick well to the chicken. If using a multi-cooker, you can also brown up the drumsticks a bit before slow cooking. Also optional, simmer sauce with cornstarch slurry for 3-4 minutes to thicken.